We now sell Level Ground Coffee at $16.00/lb. (formerly sold at Ten Thousand Villages). 5lb bags can also be purchased. Summer is here and along with it a lot of new stock from all your donated items! Find what you need for your yard, camping trip, wedding gift, picnic and summer attire in all our well stocked departments. We also have a wide assortment of collectible and antique items. 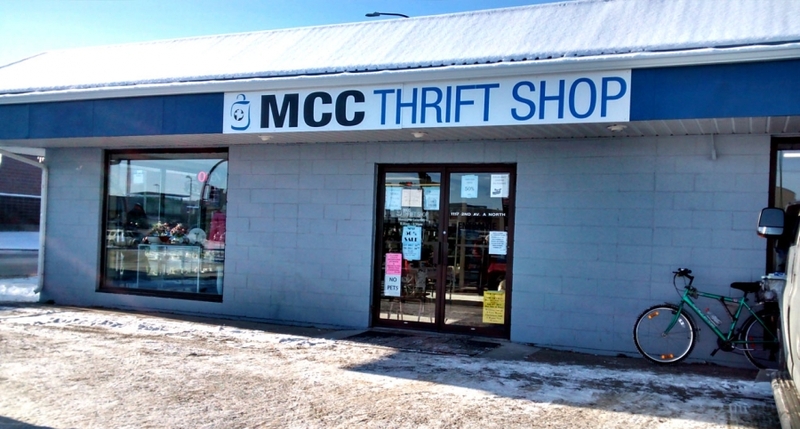 As you are out garage saling, be sure to stop in here and check out what we have to offer. From dishware, toys, wall decor, linens, fabric, crafts, electronics, books, CDs, DVDs, furniture, hardware, shoes, purses and suitcases, jewelry and clothing our stock changes regularly and you will be surprised what you can discover here. We pick up furniture and appliance items every Thursday of the week. Furniture and appliances must be in good condition and available to be picked up outside your home (on driveway or in the garage). We also deliver bigger items you have purchased from our store on Thursdays for a $25.00 charge. We are now on Facebook. Check us out. Sales and color of the week posted here!! We will be closed Monday, August 6th for the holiday weekend.